Lines in the Sand is an intense contemporary jazz suite, which is eliciting influences coming from Chick Corea‘s electric years, Pat Metheny Group and even progressive rock and melting them in a consistent manner. But it is also an highly emotional work which clearly shows the intent of the author to tell a story. The narration is never a boundary that encapsulates improvisation creativity; if this record is instead about breaking the political walls, it also plays a role in breaking the walls between genre-narrowing labels. I remember the day, so it starts, it follows and it ends David Lang‘s The Day. 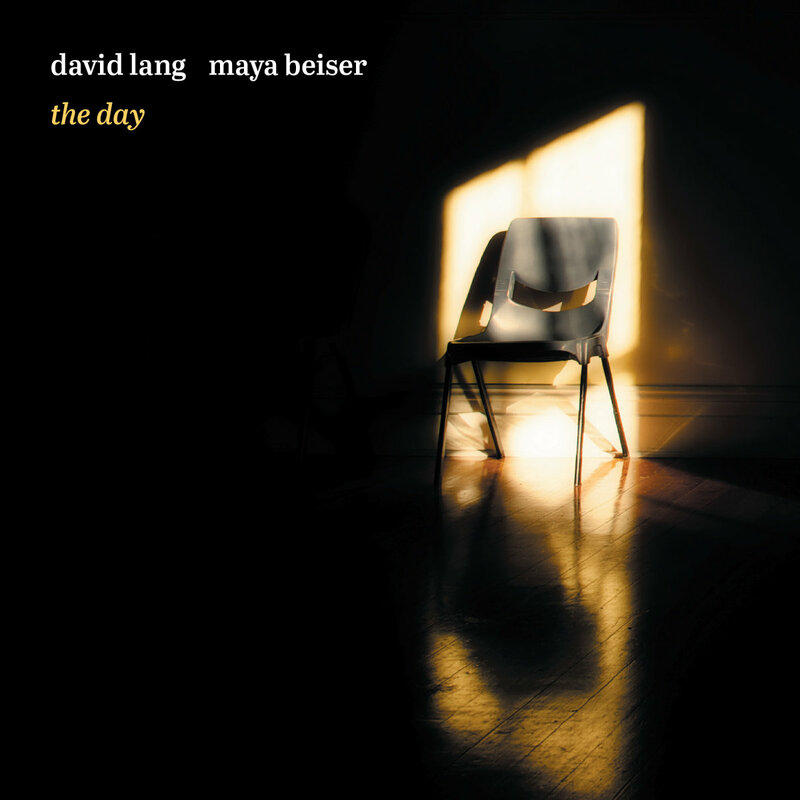 Maya Beiser adds layers of cello and her voice speaks, in a rigorously alphabetical order, casually internet found sentences starting with I remember the day […]. Sometimes what is remembered is very everyday level –I remember when I brought five items in the dressing room and they all fitted– or instead emotionally charged –when I knew about the accident. This music is unintentionally emotional because it is emotionally driven at a deeper level. The randomness of life and of its meaning is brought in with a sense of pietas -transl. compassion-, of a meditative consideration of the human condition. Beiser‘s voice does not ever change her speaking tone -there’s no judgement, no smile, no regret- while the layers of cello add each other with simple tonal melodies. Trickles of glissandos answer themselves in constant shifting of rhythmic patterns like dolphins speaking under the surface of the water. 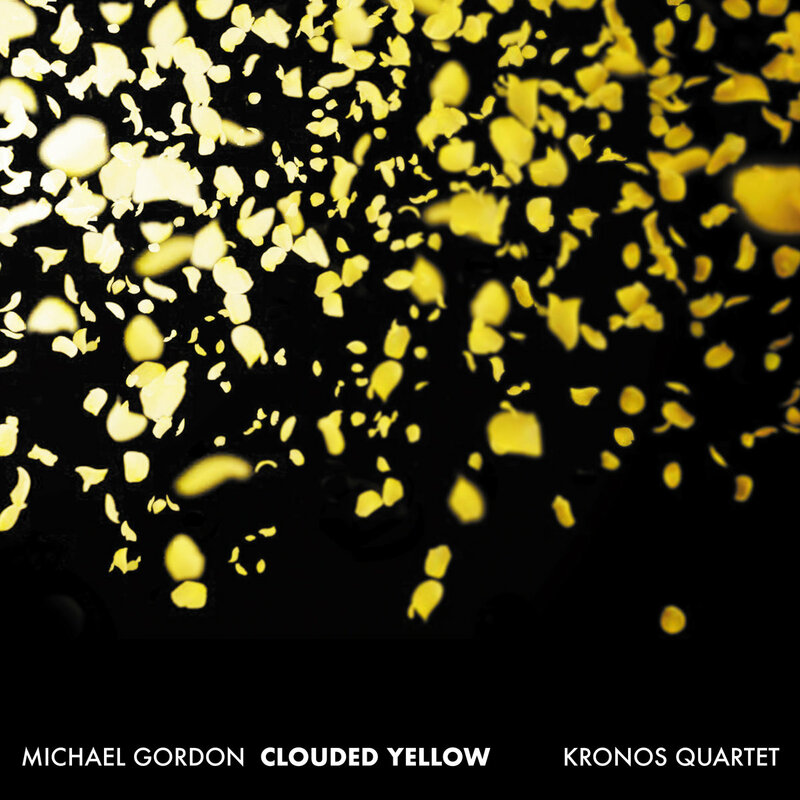 Clouded Yellow, the initial quartet giving the name to the latest effort by Bang on a Can composer Michael Gordon with Kronos Quartet, is an explosion of references and a bursts of colors. Composed in 2010 and inspired by a type of butterflies, the music of is balancing between guitar-like tones, buoyant three on two rhythmic transitions and microtonal sections indebted with the explorations made by György Ligeti in works such as String Quartet no.2. Yet this is a testament to the collaboration with legendary quartet, dating back to the 90s: the exploration of acoustic/electric spectrum are eliciting Gordon‘s mix of rock and classic music in Potassium, which incorporates a slide-guitar style of execution and a sort of backbeat typical that might cause a stirring in old classical heads, but arousal for rock fans. Michael Gordon‘s way of treating the rock rhythms and incorporate them in his music is so distinctive like no other classical composer. The sign is a fracture that only ever opens onto the face of another sign (Roland Barthes). The music of Nik Bärtsch confines itself to the essential, at the moment when a sign opens and generates the next sign. Each sign contains those that will follow: a melody contains the scale it belongs to and the musicians who played it as well as a word contains the dictionary and all the people who spoke it previously; it contains all the songs that used only a few intervals that are part of it, that used part of the notes or its cadence, the interpretations of that melody, the executions, the words written about it, and finally, turning back to the starting point, the melody itself. In a similar way, each rhythmic modul that constitues the music of the Swiss pianist already contains the exposure of the piece that will come in itself, its development, the hypertrophic generation of its patterns within the execution, through a process led to afloat and placed in front of the listener. A sumptuous chord strikes the ground triggering a flow of 80s synths and an overlapping hysteria of rhythms that blends post punk with funky bass, electronic beats and contemporary math rock. 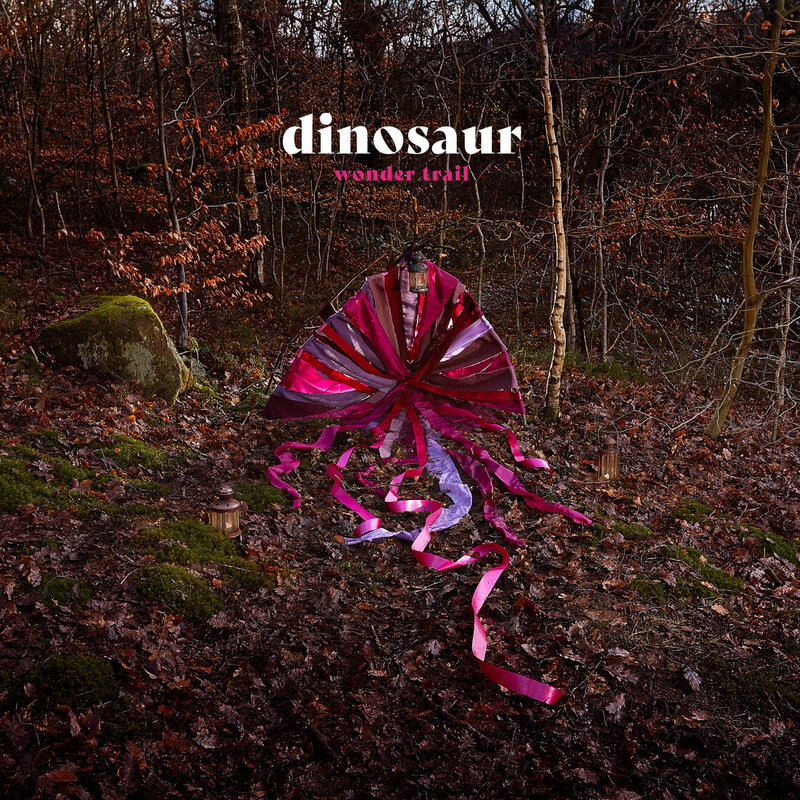 This opens Dinosaur‘s Renewal (part I), initial track of the multi-influenced future seeking Wonder Trail. 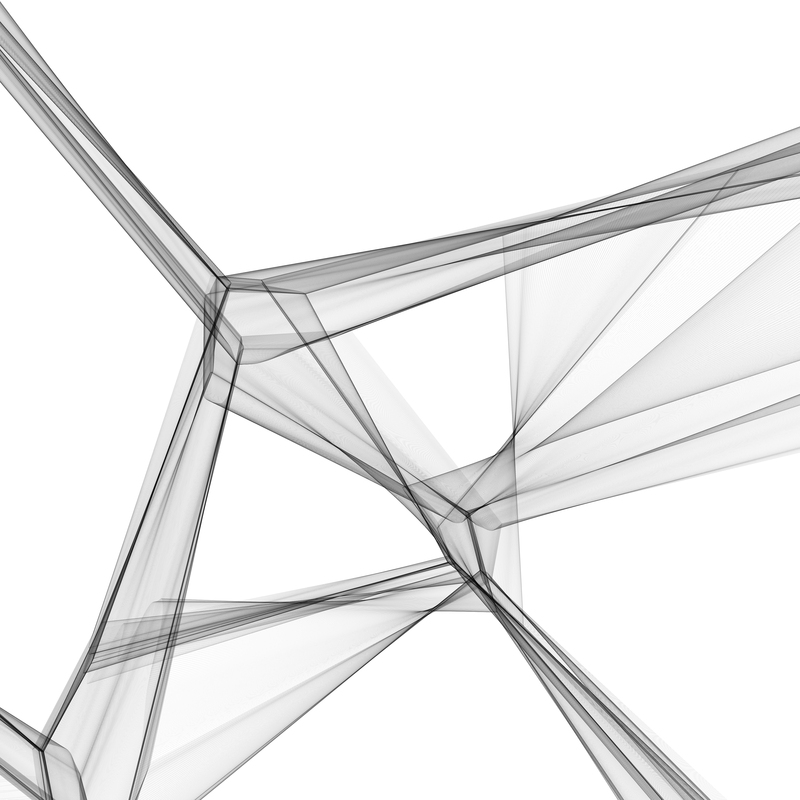 A recording that is a party of fatty synth, twisted rhythms and artificial landscapes. Yet, when Laura Judd‘s first trumpet solo starts from quoting Miles over a snakeing and unstable rhythm, it’s just for remembering everyone they are a jazz quartet. No wonder the trumpet plays still a main role in Dinosaur’s music as it was in the acclaimed debut album. But this time they are pushing forward and they are doing it in a way different than any other. Forget those electronic jazz acts equipped with cold synths or embarking in explorations that lack any sign of organic side, or those who integrate technologies without changing the structure. Here’s a progressive driven concept that rethinks the role of synths and integrates that with nuances and improvisation. A view of the blooming math-rock, indie based, progressive rock influenced British scene, made by jazz artists. Two separate worlds meet, two distant cultures cross their multiple influences finding a common ground with unexpected easiness. 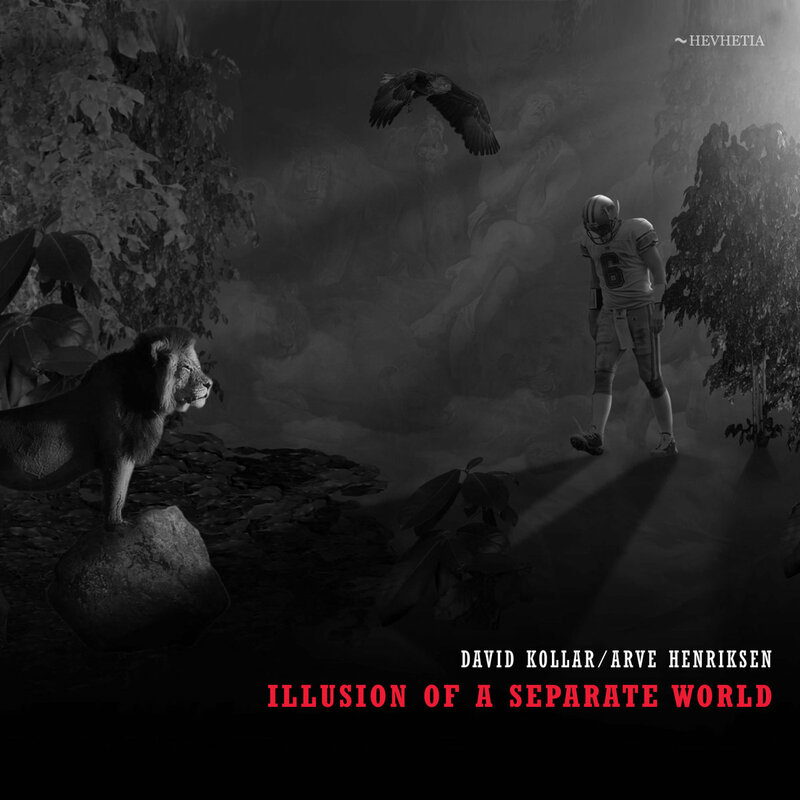 Several references merge into the unique sound of Illusion of a Separate World. Slovakian guitarist David Kollar and Norwegian trumper Arve Henriksen blend their playing into shimmering soundscapes, ethnic influences, electronic rhythms and post-rock riffs. They manage to go straight to the core of things since the initial notes, never adding anything more than what’s needed. Not making any useless or unselfish music, they are always focused only on unleashing the hidden meaning that everything has. Quartet Diminished is first and foremost a battle scene, where notes, modes, rhythms bring their history in and meet. They are moving us in a modern ritual, a conscious and respectful ritual of the dialogue between multiple identities, that look at melting in a new identity. Every melody modulates to a new melody, when you least expect it and when everything seems to become predictable. A work disguised as simple and immediate, which, rather than attracting the listener, seems almost to deceive him. As soon as music is expected to take us in one direction, then it takes the other. All this through an subterrean theme that perfectly binds Vier‘s superb quality. 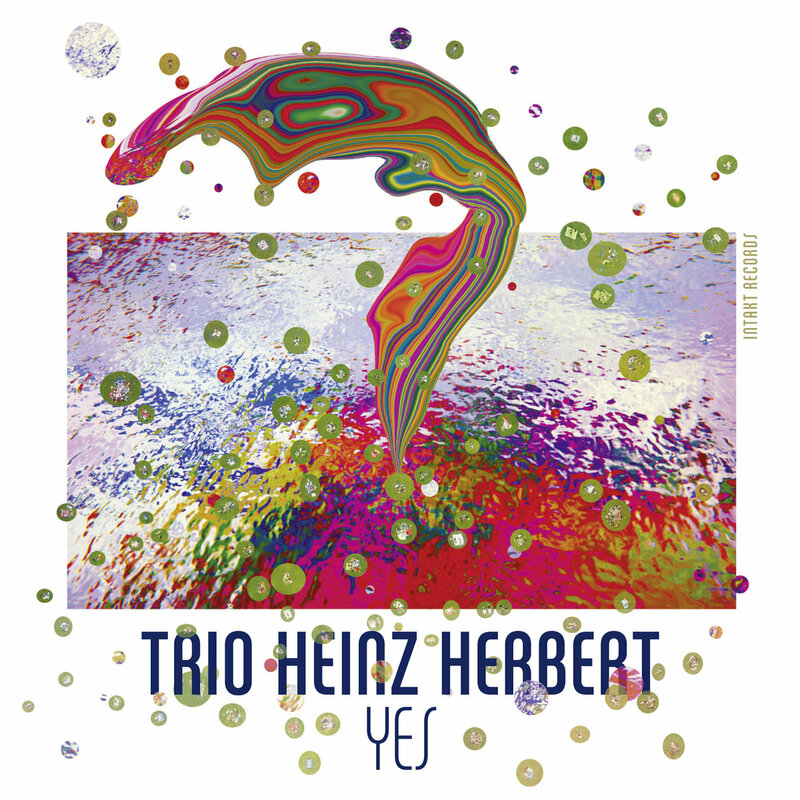 Stripping their jazz approach of any melodic, harmonic, theme-related and chord evolution element, but improvisation, Trio Heinz Herbert is a beast that chews and swallows everything. Equipped with a DIY set of tools driven the brothers Dominc Landolt (guitars) and Ramon Landolt (keys) with Mario Hänni at percussions, nothing stays the same through their teeth. Noise get transformed in house obsessive beats, deadly math rock traps, haunting and whirl pooling soundscapes. Any potential archeology of sound, any tentative of descending to the roots of their influences, is an useless exercise. The composing process is often such a trasformative approach, that their music seems to live only in the live environment. After ten years of increasing popularity, which gained them invitation by Mary Halvorson at unlimited 31 festival in Wien and recording of a live in renowned avant-garde festival of Willisau among the accomplishments, they have a unique voice of their own. Kohäsion is probably their most melodic outcome since ages: an indie clean guitar riff is put on the loop and added of grandpianesque harmonizations. It all creates a mixed balance in between of neoclassical GoGoPenguin and math rock Schnellertollermeier, which slowly degrades in trippy additions of sounds, brass-like synths swirls, casual traps and acid improvisations. Sixty years have passed since Gunther Schuller coined Third stream term as a bridge between jazz and classical, yet there are few who are exploring those grey areas in between. 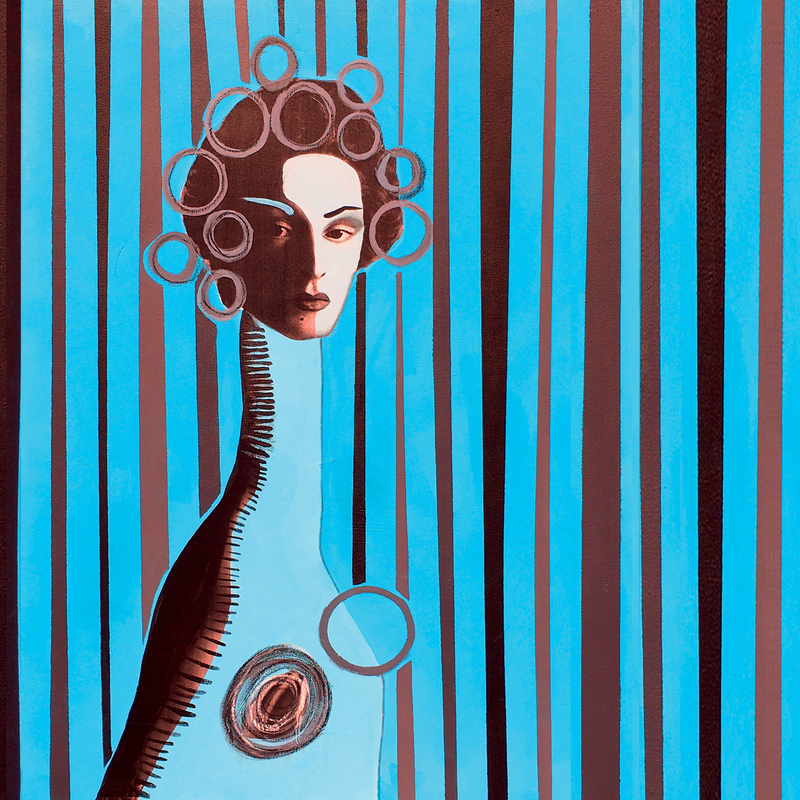 Ingrid Laubrock is actively participating in that exploration of those unknown lands. Contemporary Chaos Practices is the memo she sends us back after that travel: bridging written orchestral parts with writing-free areas devoted to four solo improvisers, this is not just an exercise, but yet an impressive archeology like the exploration was not out of earth’s cortex to unknown lands, but within music’s cortex. Holding the lesson from Anthony Braxton, she integrates that with lesser-known Walter Thompson ‘soundpainting’ techniques, which pinned the rules of hand-signals for conducting improvisers. When she joined the Columbia University’s Institute for Jazz Studies, she started to develop what later tested during jazz festival. Avant-gard foreground Moers jazz festival gave her opportunity to present an otherwise hard to complete project, due to size of the task and of the members involved. The result is a constant dialogue, facilitated by two different conductors, one conducting the scored part while the other focusing in reconciling it with the improvisers, between different historical eras. Homophonic scales hint at Messiaen‘s music, Ligeti‘s cloudinesses often show up, and then Xenakis, Lutoslawski. Mary Halvorson at guitar, Kris Davis at piano, Nate Wooley at trumpet and the same Ingrid Laubrock at sax add a layer over this structure, which perfectly integrates with the score, disclosing the map to the hidden lands. Slipped beneath the waves of worldwide acclaims, of thousands and more people audiences -extended to non-jazzy sizes- and the inevitable questions about the future of jazz during the interviews, a embarassment reserved only to ‘jazz new things’, it’s easy to forget what is behind Makaya McCraven‘s Universal Beings. Atlantic Black points exactly in that direction: Shabaka Hutchings and Tomeka Reed at saxophone and cello build a compelling world of ostinatos that creates a fragmented yet meditative state over a destructured vamp. Junius Paul at bass is probably the only lead voice of the band. And then there’s Makaya‘s drumming. What is he doing? he is rapping. Yes, is doing nothing else than rapping. His playing is a testament of J Dilla. Not only a testament of what the iconic DJ represented, but yet snares and cymbals are sputtering words, anger, rhymes and protest. 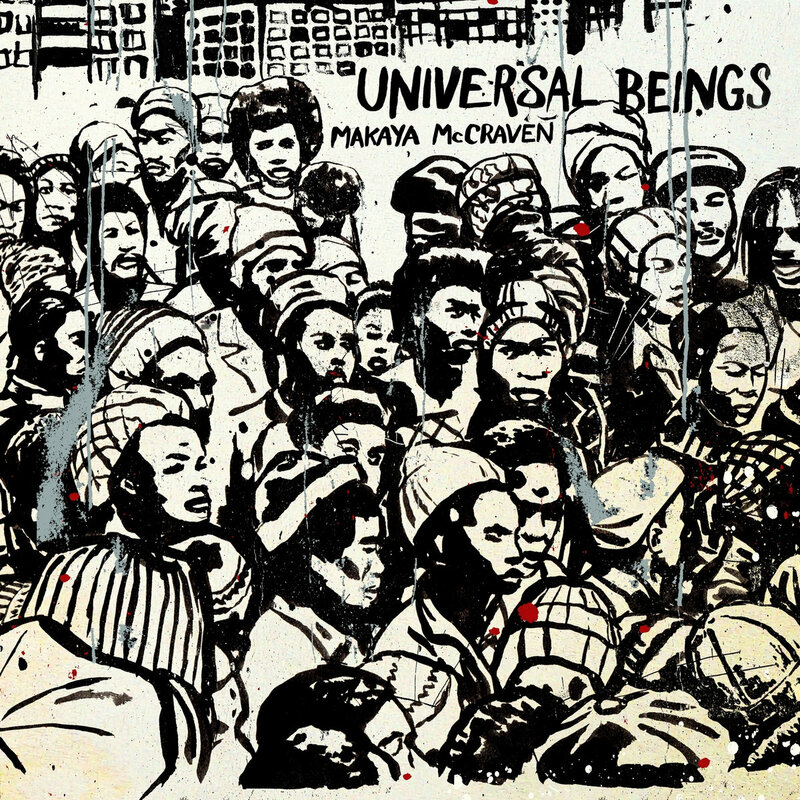 Built around four different quartets, recorded in four different cities, each taking a different side of the double vinyl format, Universal Beings is Makaya McCraven‘s vision at its best. It took more than four years to redefine it and the collaborations of best musicians around, the Chicago based drummer plays with his usual style mixing modern electronic played by a jazz quartet, bringing the cold artificial sound of contemporary black music to continuous and frenzy yet hypnotic vamps. Mixing opera style within rock or heavy metal has led to such abuses, that now some criticism uses this word with a dispregiative side. Yet Italian proggers Syndone are incorporating this language in such respectful way like no other. Thoughtfully and emotionally bounded to the sytle of Italian melody, they are clearly showing a solid RPI (Rock Progressivo Italiano) influence together with bombastic quotation of symphonic language. What might result in a derivative outcome, it’s instead unique in its own. Leading a guitar-less six members band, Nico Nik Comoglio is a force majeur behind his screaming synths together with the powerful and heartfelt vocals by Riccardo Ruggeri. 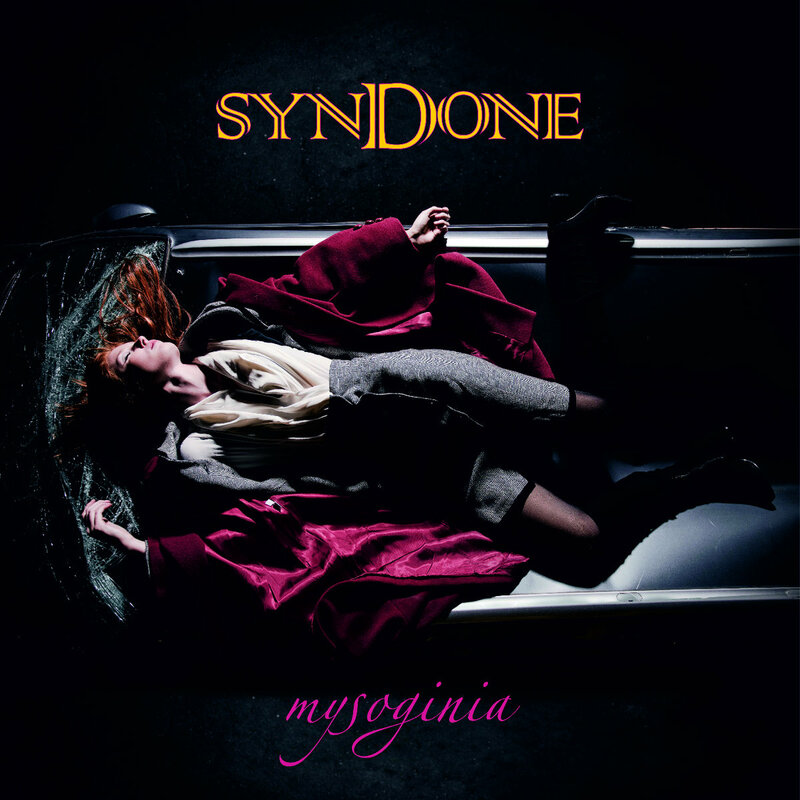 An act of protest against women misabuse and killing, Mysoginia is built like an opera of its own. Middle track Evelyn, which is guesting New Trolls‘ flutist Vittorio de Scalzi and the enthralling voice of Viola Nocenzi, is an enchanteful duet by the male and the female voice. The two dialogue in an intense and breath taking Italian romanza that reaches its peak in a vibrating unison, before the ending fugue by the band at whole. Moving through compelling progressive rock instrumentals, hard-rock driven episodes, orchestra pumping –Yugen‘s Francesco Zago acting as director- or the intese guitar solo on last but one track by Arti e Mestieri‘s guitarist Gigi Venegoni, Mysoginia is an act of pure and sincere music that takes opera at its heart. 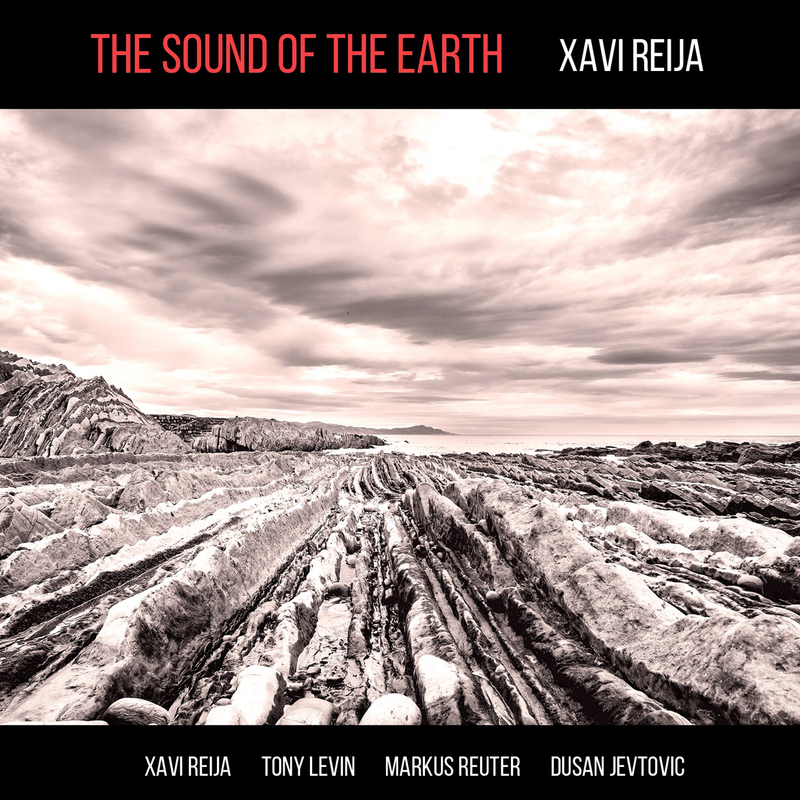 Haunting landscapes in black and white, fresh air blistering, wilderness and emotion collapsing over each other are yet the picture drawn in The Sound of the Earth, the 2018 release by drummer Xavi Reija. MoonJune signed catalan born hosts a quartet of pure improvisers -long collaborator Dusan Jevtovic on guitars, thouch guitar genius Markus Reuter and legendary bassist Tony Levin– with only one purpose in mind: searching for that inner sense of meaning buried inside the sound of the earth. Improvisation, listening and flow are the only means they dwell the earth with. When listening to Mark Wingfield‘s Tales from the Dreaming City it is easy to agree with him that guitar can still disclose planets of the musical system which we did not know about yet. The British guitarist seems not so much interested in what happens in the 21st century, while he is more busy projecting the instrument in the 22nd century. Under the shimmering melodies, the mysterious harmonies, the near-human screams of his guitar, he hides, visible to those who have the curiosity to search for it, a research that is pushing the boundaries of the instrument in a dizzying way towards and beyond the future. Through an use of technology decades ahead in comparison of the rest of the world conjugated with a melodicity that seemed to be forgotten by many guitarists, he creates a music of magic and mystery, bringing us into a David Lynch‘s movie, where he is the director. Vegir is made up with an highly cohesive sound: moderate rhythms, a stable sound among the various pieces, balance between moments of acid and intensity on one side and the warm and brilliant tones, especially from Rhodes, on the other -a mark to the mastering made by Mark Wingfield. Improvisations are extended -with the exclusion of the last one, a fragment, the shorter is the first track with its seven minutes- never pushing too much over the boundaries, but those are always developed as to coherently develop their own premise. 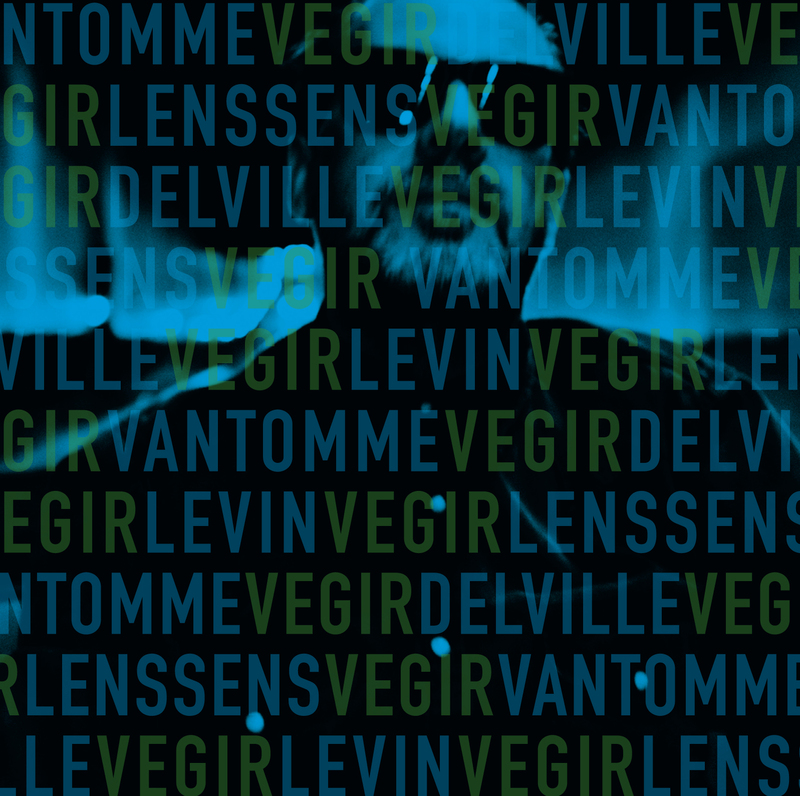 Tony Levin is a trademark in the improvisation field, but Vantomme is a true discovery. 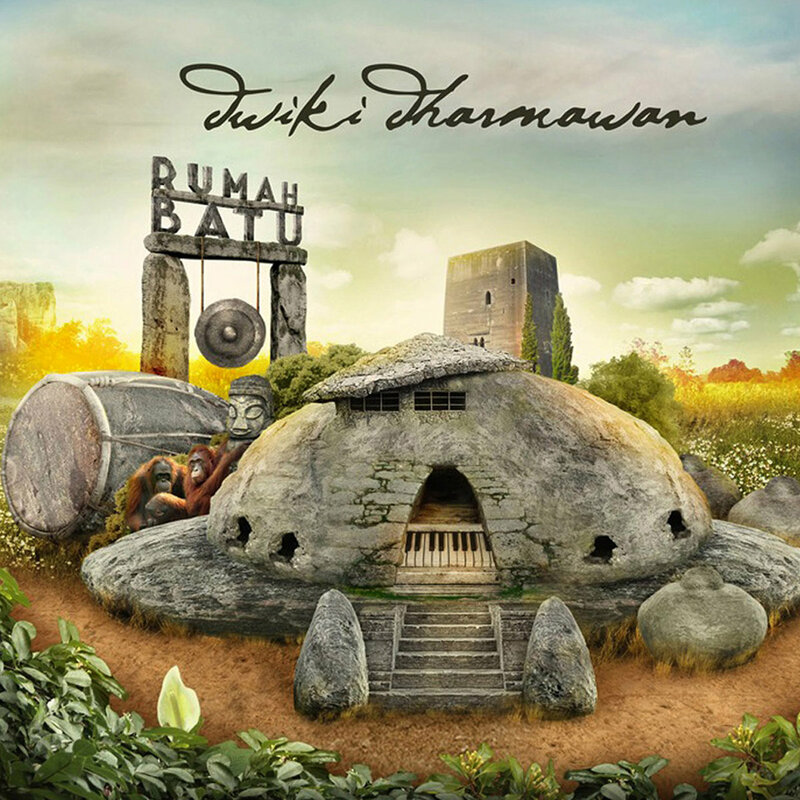 Dwiki Dharmawan sets his unmistakeable piano tone at show since the very first notes of Rintak Rebana, initial track of Rumah Batu. It would have been so hard to find a follow-up for the multi-acclaimed Pasar Klever. This time the outcome is possibly even more coherently indicating that balance of ethnic south-asian influenced contemporary jazz with ECM ’70s sound. His music seems to bring Chick Corea, Keith Jarrett in the balinese music with a delicate sound that never sounds mellow or even obvious. 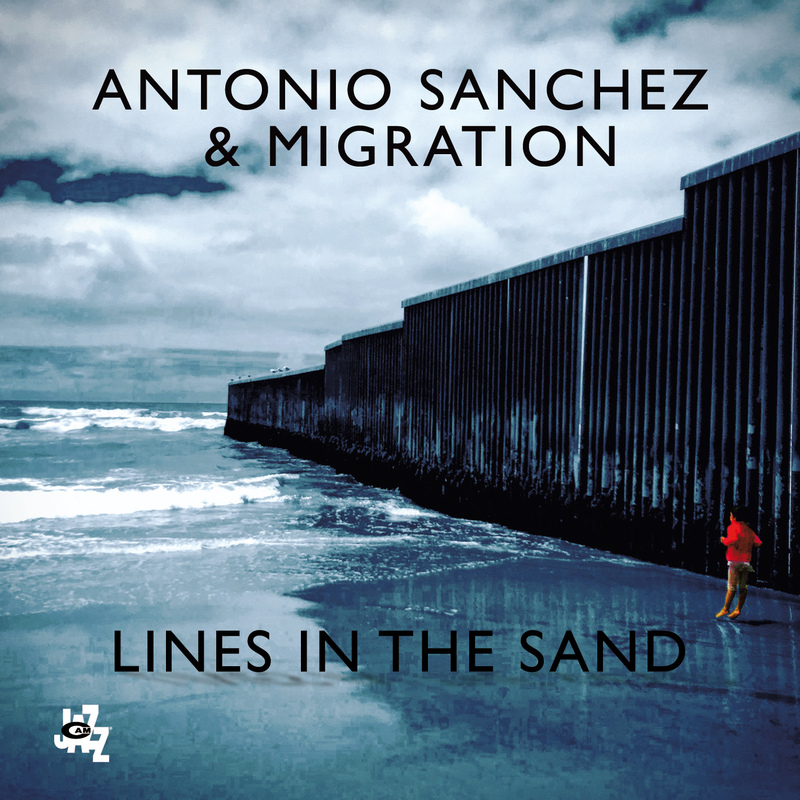 The delicious La Fiesta-like riff opening the track shows the full force driven by the flute (Sa’at Syah) from one end and the precise and ferocious drumming by Asaf Sirkis from the other. Vietnamese guitarist Nguyen Le is the perfect companion to Dharmawan delivering an aggressive and exhilarating eliciting thrills on the spine solo. Bassist Carles Benavent, who often switches to the middle register while Yaron Stavi plays the upright bass, brings his unique octave-effected voice for another exciting moment and finally the force is at full for latest punchy solo by the piano leader. Recorded at La Casa Murada –Rumah Batu means The Stone House in indonesian- this is a rollercoaster ride through singing melodies, full band improvisations, dancing rhythms. Probably it’s bringing an even more loose feeling than Pasar Klever had, this recording shows how deep can go and how many possibilities there are still in the often-blamed ethnic flavored fusion genre at today. Those who meet the music of John Hollenbeck for first time have the feeling every single note he plays is standing on the shoulders of giants. Showing with a scholarly precision which inspiration he dragged for each composition, whether it’s the booklet of his releases or an intermission speech during his shows, the New York based drummer has an unparalleled wealth of knowledge behind him that propels his music. Best famous for his knotting and rhythmically superb work with his jazz effort The Claudia Quintet, he alternates that with a larger ensemble set-up. After having released the Songs We Like a Lot/Songs I Like a Lot chapters with a larger yet different ensemble -which he incidentally he is preparing the third chapter for next year, he came back to his signature 24-musicians band. Summarizing the who is who of contemporary New York jazz avant-garde scene, John Hollenbeck Large Ensemble is playful and erudite, witty and aggressive, forward pushing and past looking -with Hollenbeck disclosing in liner notes a dedication at the harmonic concepts of Bob Brookmeyer or Billy Strayhorn. All Can Work‘s title track is the dedicated to the memory of trumpet and therapist Laurie Frink, whose mails were an inspiration to draw the lyrics gently sung by Theo Bleckmann. Hollenbeck created a poem out of them that drives not only the cantato, but also rhythmically dispersed and elusive beats. Brasses and voice follow a delicate and wistful melodic line that reflects a gently and yet unbreakable spirit. When all orchestra’s counterpoints are shifting in a Steve Reich’s phase manner, this thrusts even more the emotional level until an all orchestra mournful and intense finale. When, after two minutes and twenty seconds into Ibra mainly propelled by a continuous bass drum loop, strings superimpose a completely new and unexpected harmonic combination, everything start to fall down. 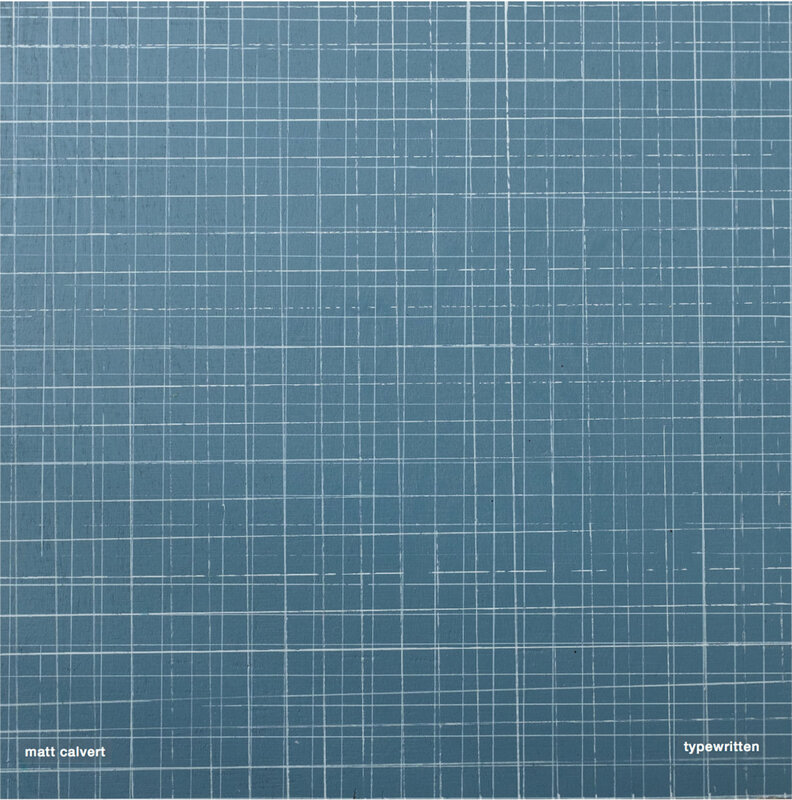 Occasional soundscapes masterly provided by the guitar of Eivind Aarset and a hint of a chord progressions, previously set a clear tonal direction into the track, but now everything is shifting. The new string chord modulates in an unusual tonality, like air pushed in front of the face. The steady rhythm of these changes imitates the falling of a body in a spiraling manner until a scorching ending with organic synths and guitarscapes. 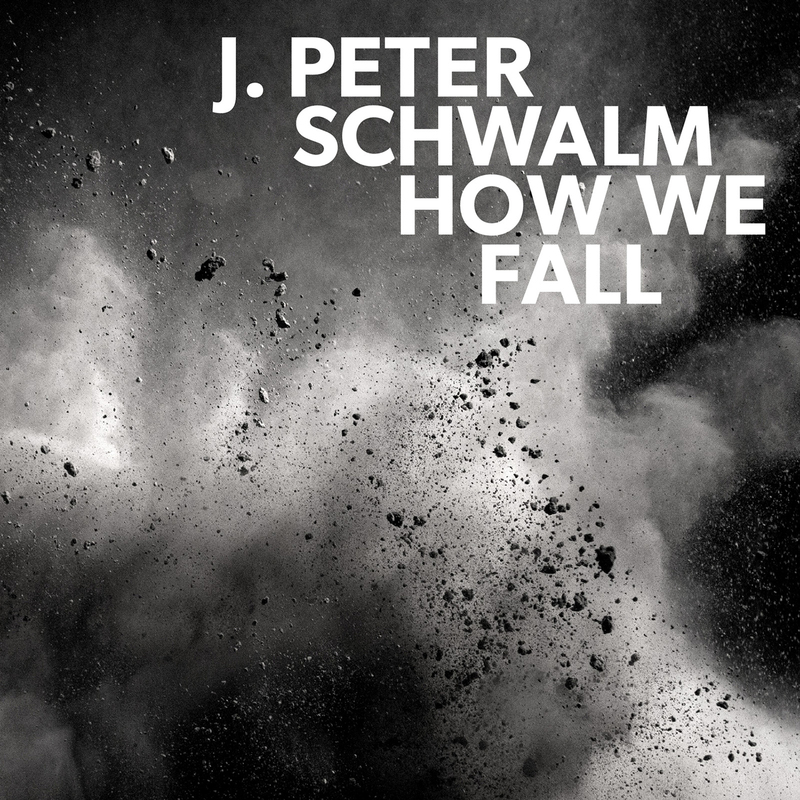 J. Peter Schwalm‘s How We Fall is about density, both emotionally and sonically speaking. Composed after a cancer struggle that affected the German synth wizard, who is known for his collaborations with Brian Eno and Holger Czukay, this is second album for RareNoise and it’s been influenced by his personal battle. On a wider level it was affected as well by a sense of worldwide fear -the names of the tracks refer to places that Americans had used as nuclear bomb test sites during the 40s. Falling, air and sense of fear: How We Fall is an organic exploration of the buoyancy and solidity of sound. Advertisting copywriters are well aware of the mechanisms behind optical illusions: try to see a car on the side, at a given constant speed wheels will seem steady with no movement. The visual effect is known as wagon-wheel effect and can be described basically as follows: our eyes have a fixed frame sampling capability. Whenever this effect, audience does not perceive the ‘additional frames’, those that would show us the wheel in two different positions and that would let us perceive, therefore, the movement. It creates a constant repetition that intrigues us and this vortex, almost like a wormhole, brings an ancestral mechanism in, the ideal for an advertising movie. Repetition creates a bond, it binds us to the view, it creates something in the space between us and the image. [/showhide] “Repetition does not change anything in the repeated object, but changes something in the mind of the observer” (Deleuze, Difference and Repetition in Margulis, On Repeat, Oxford University Press). 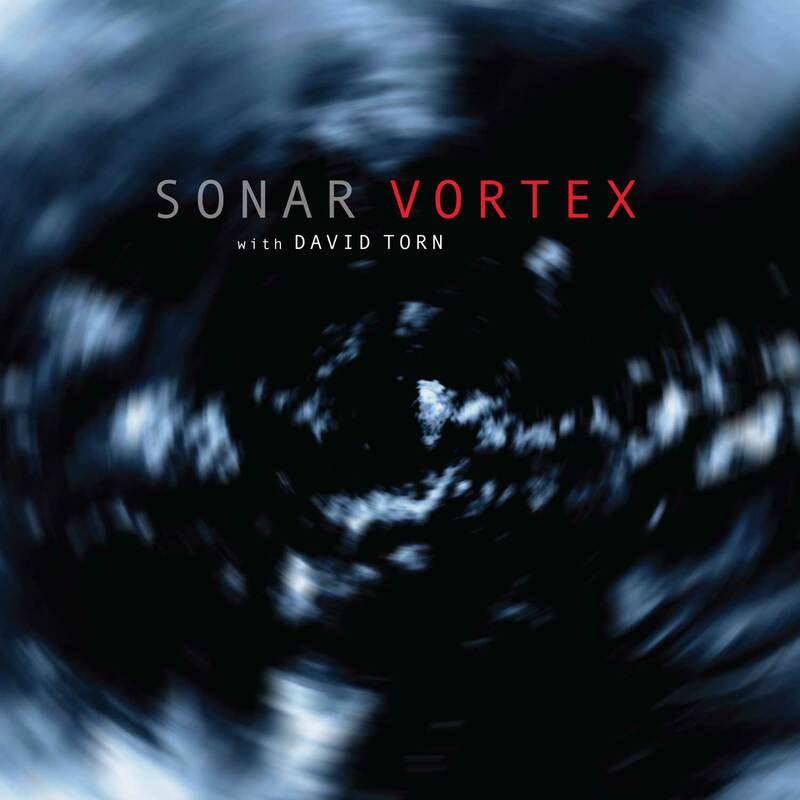 Swiss band Sonar works to create this space between music and listening, between repetition and the listener since 2010. A few metallic notes played from inside the piano to create a barely hearable and atonal atmosphere, on the lowest and highest registers. Then a scale guides us through a slowpace andante: this is the prelude to the serious and solemn theme of the ZZ Top anthemic piece Sharp Dressed Man, which I feel in the gut while Jamie Saft plays it at the piano. An overflowing minor chord, resonating in the concert hall, fiddling with the 5th blues note and tearing out its fundamental essence. The keys on the lower registers take out our soul, there is really nothing else to say. There is no beginning, there is no preparation: we start immediately from the end. There is nothing else to say. Everything is all there. In the year of spiritual jazz revival, Jamie Saft releases a testament to remind what is the root of it all. A hieratic chord that keeps all harmonic possibilities open, adding overtones and pedal by Saft‘s piano, opens Vessels. Bill McHenry‘s sax explores subtle nuances of intimacy. Bradley Coleman Jones and Nasheet Waits‘ rhythm section melt in an heartbeat driven pulse. The time is suspended for an infinite time. This newest creation by ever pioneering pianist is a quartet at his own name, The Jamie Saft Quartet. 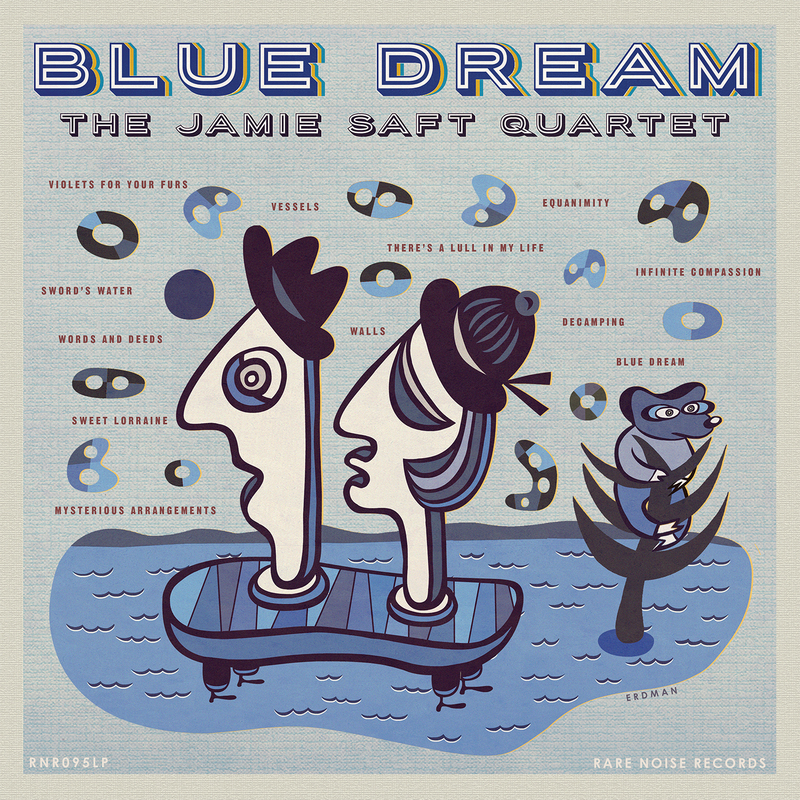 Explicitly indicating in the title of the album itself, named Blue Dream, what is the direction he is taking this time, Jamie Saft is usual to seamlessly leap from yesterday to today’s musics, mixing jazz, doom, metal, surf rock, traditional and, of course, blues. But there’s no revival here, blues is brought at its own root. It’s Alice Coltrane‘s Journey at Satchidananda. It’s the most heartfelt Joe Lovano. It’s ritual music at its deepest meaning. 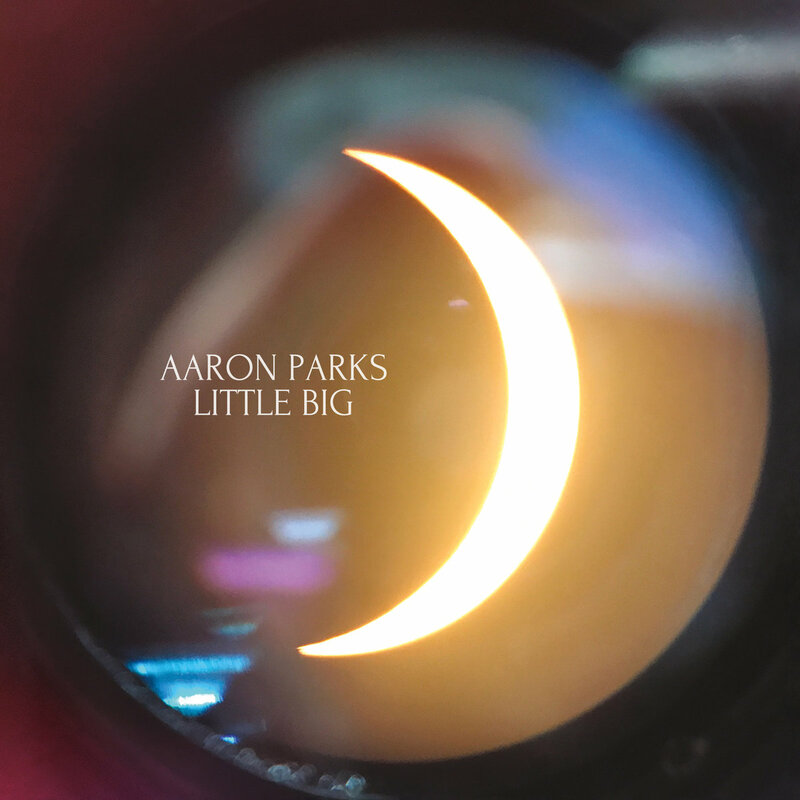 Aaron Parks is regarded by multiple colleagues as being the true herald of the message of Brad Mehldau in the new generation. Being capable of accessing a deeper sense of the melodic material, he seems to reveal hidden secrets held in the simple melodies. With this quartet he goes back in time to his 2008 Blue Note debut Invisible Cinema with a line-up based on two harmonic instruments, piano and guitar. Sided with the crispy sounds of Greg Tuohey at guitar, David Ginyard Jr at bass and Tommy Crane on the drums, Little Big is a contemporary album of solid instrumental rock. The initial Kid is a catchy and driving country medium rock that offers a show of what the pianist is able of. Parks adds modal ornaments over the pushing rhythm sections and shows how he always moves the listening in the ground of the inexplicable with easy yet unique melodies. Here’s the secret of the pianist: he has a deeper sense of letting notes speak for him, hiding the unexpected in subtle details, sometimes a slight shift of pace, sometimes an hidden passage note that gives a modal flavor to it all. Layers of overlapping minimalist metrics, creating a fertile ground for seductive and intense melodies over fresh-sounding fusion chord progressions. Many things happen, and they all happen at the same time without moving listener’s glimps for a single moment. Jazz and classical harmony are brought in both, but there is also a pop and sing-along feeling that pervades the album and makes it accessible even if complex, extremely complex. 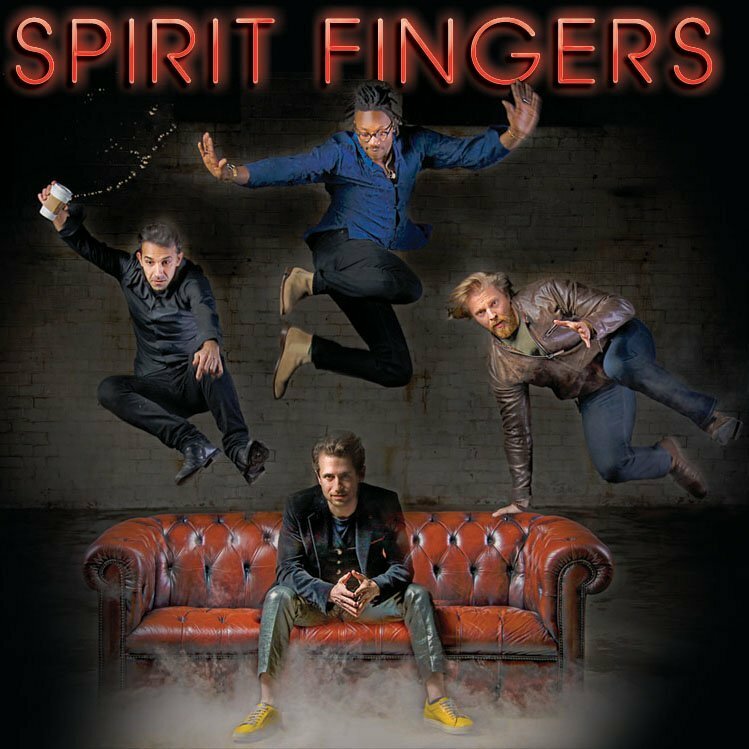 Spirit Fingers is drenched with a joyful discipline, with a certain solar spirituality. 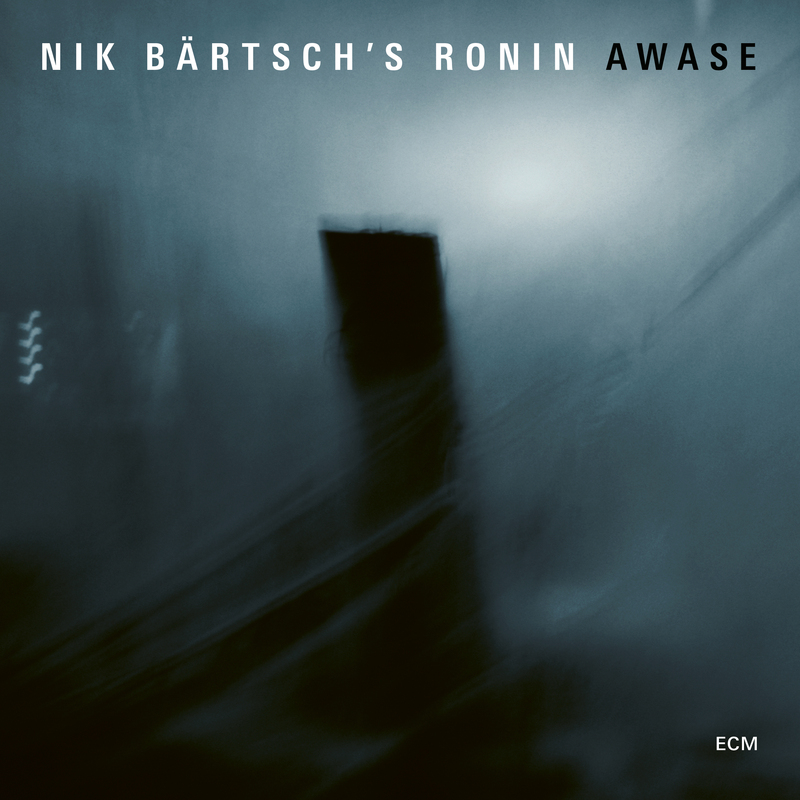 The rhythms work incessantly throughout the album going to create a dialogue with the listener that goes beyond the single piece, thus creating a ritual close to the ritual music in Nik Baertsch. Declined often through roller coaster-like intensity changes, through a thousand outbursts of emotions. When in the late 90s a new electronic jazz scene arose from the exotic Norway, a generation of jazz trained musicians, who grew under the wing of the elders such as Garbarek and Rypdal, started practicing improvisation in unexpected ways. Soon became the norm to see jams between jazzers and djs in venues such as Oslo’s Blå. 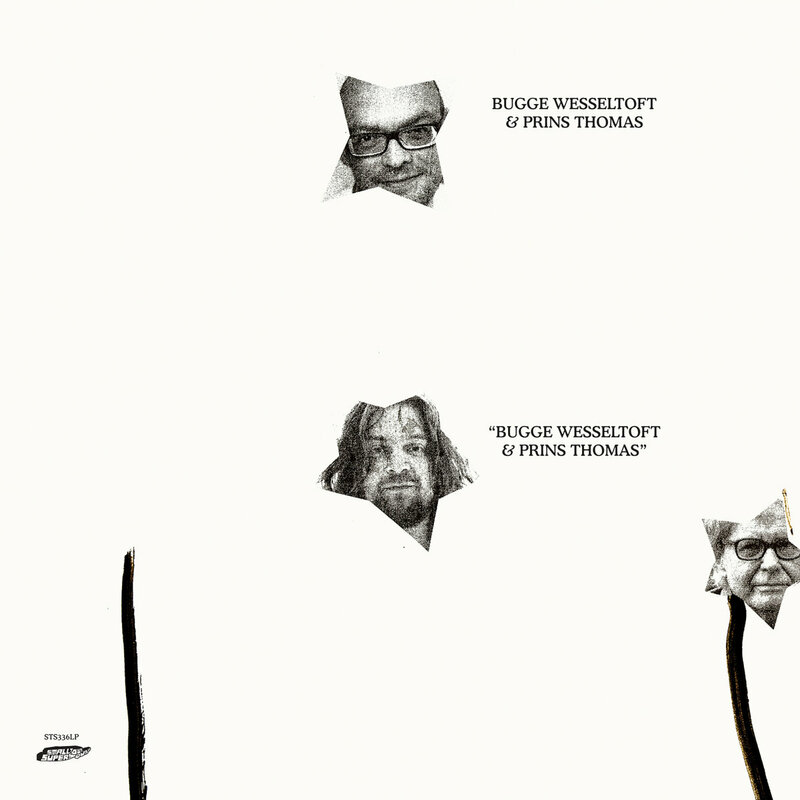 Twenty years after the tide has passed, Bugge Wesseltoft still remains one of those who explored it more in depth. First and foremost with his New Conception of Jazz, line-up he extensively exploited to incorporate beats within his keyboard and piano playing, and then collaborating with multiple sound designer, namely Henrik Schwarz. For his collaboration with Prins Thomas, one of the propellers of the space disco during the 2000s, he brings everything at the basic terms. Starting from the venue, the iconic Rainbow Studio run by engineer Jan Erik Kongshaug that hailed the greatest ECM recordings of the 70s, and following with the choice of a third partner such the legendary drummer Jon Christensen, member of the Keith Jarrett European Quartet, everything is moving towards a blend of spontaneity. Furuberget is delicate and chilling like the best moments in Moving, potentially even overshadowing the improvisation accomplishments Wesseltoft was made famous for with his New Conception of Jazz line-up. Caressing synths, organic reverberations amplified by Christensen‘s subtle cymbals playing, gentle piano intermissions, unpredictable balancing between 70s sounds and hip hop/modern electronic: everything is about a blissful and spontaneous moment of clarity. Matt Calvert‘s Typewritten is an unexpected side of the innovative British guitarist, who explored boundaries between math rock, electronica and progressive rock with Three Trapped Tigers and Strobes and now steers in an apparently opposite direction. Where the angular rhythms and the guitar strings leaping riffs jumped out within overlapping polyrthymic signatures, here he explores the acoustic side and electronic danceable side. Leaving electric for acoustic guitar, he is now leading a chamber ensemble which sits on the ridge between minimalistic turns and electronic imitations. The result is often laid back and chilling like in head bobbing 12051, built around an unison guitar harmonics-vibraphone riff that creates a moving and danceable groove. When the sweeping guitar moves to main chorus, an addition of lush strings moves everything in an acoustic ensemble playing club music. 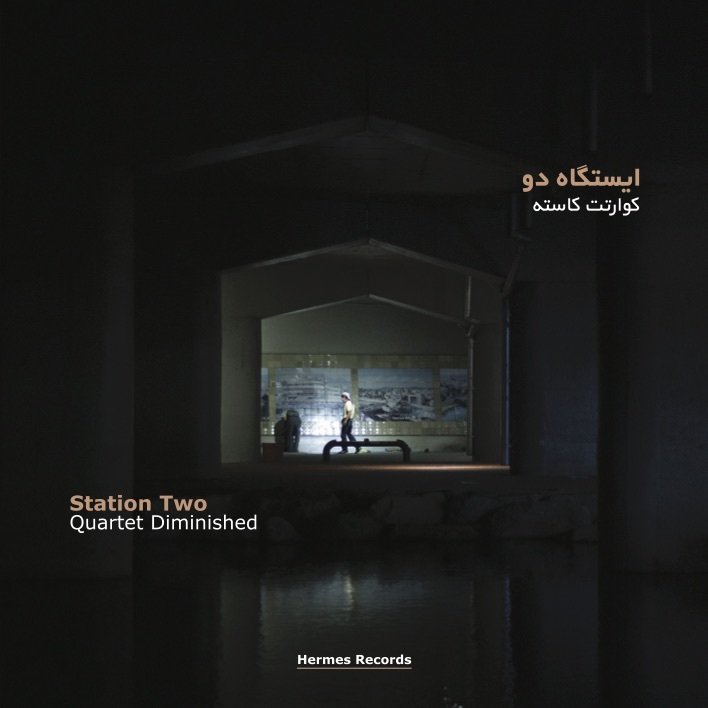 An acoustic record that explores in deep the mechanisms and the organicity of the electronic landscape. 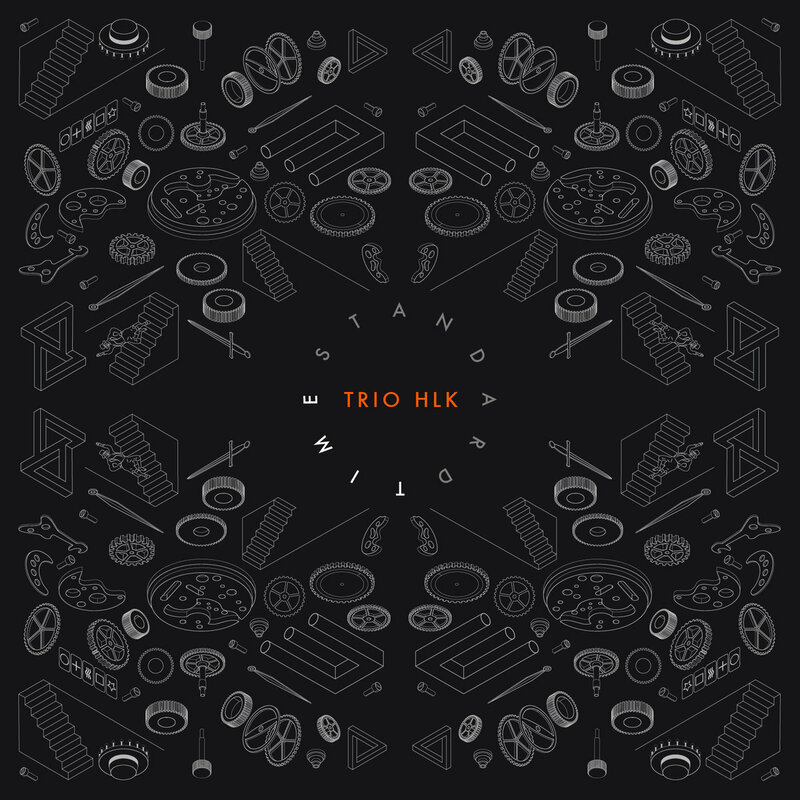 Following a clear vision, applying a different approach, working at a slower pace and cross-pollinating their influences seem to be the ground rules at the basis of Trio HLK. While their music is a parade of mathematical thinking and disrupting practices, still it is full of beauty, instinct, improvisation and immediacy, for how strange it might sound. Whether the secret ingredient of Constance and the Waiting was a clear vision during composing process or a state-of-the-art team working, these 10 musicians were able to enter ‘the Zone’, go for the extra-hour and create an unpredictable and unprecedented effort. I remember the day, così inizia, continua e finisce The Day di David Lang. Maya Beiser aggiunge strati di violoncello e la sua voce recita, in un ordine rigorosamente alfabetico, frasi trovate casualmente su internet che iniziano con I remember the day that […]. A volte quello che viene ricordato è la trivialità di tutti i giorni – ricordo quando ho portato cinque oggetti nel guardaroba e tutti mi andavano – o invece emotivamente struggenti – quando ho saputo dell’incidente. Questa musica è involontariamente emotiva perché è spinta emotivamente a un livello più profondo. La casualità della vita e del suo significato è portata in superficie con un senso di pietas, di una considerazione meditativa della condizione umana. La voce di Beiser non cambia mai il suo tono di voce – non c’è alcun giudizio, nessun sorriso, nessun rimpianto – mentre gli strati di violoncello si aggiungono con semplici melodie tonali. Glissati che sembrano cadere come gocce d’acqua e si risolvono nel costante mutamento di schemi ritmici, come i delfini che parlano sotto la superficie dell’acqua. Clouded Yellow, il quartetto iniziale che dà il nome all’ultimo lavoro del compositore, fondatore del gruppo Bang on a Can, Michael Gordon con Kronos Quartet, è un’esplosione di citazioni e di scoppi di colori. Composta nel 2010 e ispirata a un tipo di farfalle, la musica di questo lavoro è in bilico tra influenze chitarristiche, vivaci transizioni ritmiche di ritmi terzinati su binari e sezioni microtonali che si ricollegano alle esplorazioni fatte da György Ligeti in lavori come il Quartetto per archi n.2. Ma soprattutto questa è un riconoscimento della lunga collaborazione con il leggendario quartetto, nata ormai negli anni ’90: l’esplorazione dello spettro acustico / elettrico he spinto Gordon ad utilizzare un mix di rock e musica in Potassium, dove gli archi imitano la slide-guitar e una specie di backbeat, che potrebbe causare sospetto nell’accademismo classico, ma eccitazione per i fan del rock. Il modo in cui Michael Gordon tratta i ritmi rock e li incorpora nella sua musica è così distintivo che nessun altro compositore classico fuori dall’ambito dei Bang on a Can riesce a fare. La musica di Nik Bärtsch confina se stessa all’essenziale, al momento in cui un segno di schiude e genera il segno successivo. Ogni segno contiene quelli che lo seguiranno: una melodia richiama la scala di appartenenza ed i musicisti che l’hanno suonata così come una parola ha in sé il vocabolario di una lingua e tutte le persone che l’hanno pronunciata; richiama tutti i pezzi che hanno utilizzato anche solo qualche intervallo che la compone, che hanno utilizzato parte delle note o la sua cadenza, le interpretazioni di quella melodia, gli ascolti, le parole scritte su di essa, ed infine, ritornando al punto di partenza, la melodia stessa. In maniera simile, ogni modulo ritmico che è alla base della musica del pianista svizzero contiene già in sé l’esposizione del pezzo che verrà, la sua trama, la generazione ipertrofica dei suoi schemi all’interno dell’esecuzione, attraverso un processo portato a galla e messo di fronte all’ascoltatore. Un sontuoso accordo spacca tutto innescando un flusso di synth anni ’80 e un’isterica sovrapposizione di ritmi che mescola post punk con basso funky, ritmi elettronici e math rock. Questo apre Renewal (part I) dei Dinosaur, traccia iniziale dell’innovativo e futuristico Wonder Trail. Una registrazione che è una festa di synth ciccioni, ritmi contorti e paesaggi artificiali. Tuttavia, quando il primo assolo di tromba di Laura Judd inizia citando Miles su un ritmo serpeggiante e instabile, è solo per ricordare a tutti che sono un quartetto jazz in fondo. Non c’è da meravigliarsi se la tromba gioca ancora un ruolo principale nella musica dei Dinosaur, così come lo é stato nell’album di debutto, che ha guadagnato un successo di critica importante. Ma questa volta stanno spingendo in avanti il loro stile e lo stanno facendo in un modo diverso da qualsiasi altro. Bisogna dimenticare quegli episodi di jazz elettronico caratterizzati da synth freddi o che si inalberano per esplorazioni che non hanno alcuna traccia di organicità, o che integrano le tecnologie senza cambiare la struttura delle loro composizioni. Qui, invece, c’é un concetto progressivo, che ripensa il ruolo dei sintetizzatori e li integra attraverso sfumature e improvvisazione. Una visione della scena fiorente del math-rock, indie e del rock progressivo della scena britannica, ma fatta da musicisti jazz. Due mondi separati che si incontrano, due culture lontane al crocevia di molteplici influenze trovano con facilità disarmante un terreno comune. Una molteplicità di riferimenti fuse nel suono unico di Illusion of a Separate World. Il chitarrista slovacco David Kollar e il trombettista norvegese Arve Henriksen fondono le loro prospettive in soundscape luminosi, tocchi etnici, ritmi elettronici e riff post-rock. Riescono ad andare dritto al nocciolo delle cose fin dal prima nota, non aggiungono niente che non serva. Ci offrono una musica nuda e mai inutile o disinteressata, ma solo concentrata a rivelare il significato che é insito in ogni cosa. Quartet Diminished è prima di tutto una battaglia, in cui note, modi, ritmi portano la loro storia e si incontrano. Stations Two è una dichiarazione di identità di una band che si muove in un territorio sconosciuto mischiando avanguardia, musica rituale, orchestra da camera e persino metal e prog. Ogni melodia modula ad una nuovo melodia quando meno ce lo si aspetta e quando tutto sembra diventare prevedibile. Un lavoro travestito di semplicità ed immediatezza, che più che attirare l’ascoltatore sembra quasi ingannarlo. Appena ci si aspetta che la musica ci porti in una direzione, allora ne prende l’altra. Il tutto attraverso un tema conduttore sotterraneo che lega in maniera perfetta Vier. Spogliando il loro approccio jazz da qualsiasi elemento di evoluzione melodica, armonica e tematica se non dell’improvvisazione, il Trio Heinz Herbert è una specie di bestia che mastica e ingoia tutto. Equipaggiato con un set di strumenti fai-da-te guidato dai fratelli Dominc Landolt (chitarre) e Ramon Landolt (tasti) con Mario Hänni alle percussioni, nulla rimane uguale attraverso i loro denti. Il rumore si trasforma in battiti ossessivi di casa, trappole mortali di pietra, inquietanti e vorticosi paesaggi sonori. Qualsiasi potenziale archeologia del suono, qualsiasi tentativo di discendere fino alle radici delle loro influenze, è un esercizio inutile. Il processo di composizione è spesso un approccio così trasformativo, che la loro musica sembra vivere solo nell’ambiente live. Dopo dieci anni di crescente popolarità, che hanno visto riconoscimenti come l’invito da parte di Mary Halvorson al festival 31 festival a Vienna e la registrazione di un live nel famoso festival di avanguardia di Willisau, hanno raggiunto una voce unica. Kohäsion è probabilmente il più melodico che abbiano mai fatto: un riff indie sulla chitarra dal suono pulito viene sovrapposto di armonie di pianoforte. Questo crea un equilibrio a metà tra lo stile quasi neoclassico dei GoGoPenguin e il math rock in stile Schnellertollermeier, che degrada lentamente in un sound da trip, turbinii sintetici di ottoni, traps casuali ed improvvisazioni acide. Sono passati sessant’anni da quando Gunther Schuller coniò il termine Third Stream come ponte tra jazz e classica, ma sono pochi ancora quelli che esplorano quelle zone grigie intermedie. Ingrid Laubrock é una delle persone che partecipa attivamente all’esplorazione di quelle terre sconosciute. Contemporary Chaos Practices è il memo che ci rimanda dopo il viaggio: collegando partiture orchestrali con sezioni prive di scrittura dedicate a quattro improvvisatori solisti, questo non è solo un esercizio, ma un’archeologia impressionante, come fosse un’esplorazione non della corteccia della terra, ma nella corteccia della musica. Facendo memoria della lezione di Anthony Braxton, la integra con le tecniche -meno conosciute- di Walter Thompson di “soundpainting”, che fissavano regole per i segnali manuali da usare per dirigere gli improvvisatori. Dopo esser entrata nell’istituto di studi jazz della Columbia University, ha iniziato a sviluppare ciò che avrebbe successivamente testato durante i festival jazz. Il festival avantagard di primo piano di Moers le ha dato la possibilità di portare a compimento un progetto altrimenti difficile da portare avanti, a causa delle dimensioni del compito e dei numero dei membri coinvolti. Il risultato è un dialogo costante, facilitato da due conduttori diversi, uno che conduce la partitura mentre l’altro si concentra nel riconciliarlo con gli improvvisatori, tra diverse epoche storiche. Le scale omofoniche suggeriscono la musica di Messiaen, le torbidità suggerisce quella di Ligeti, e poi sentori di Xenakis, Lutoslawski. 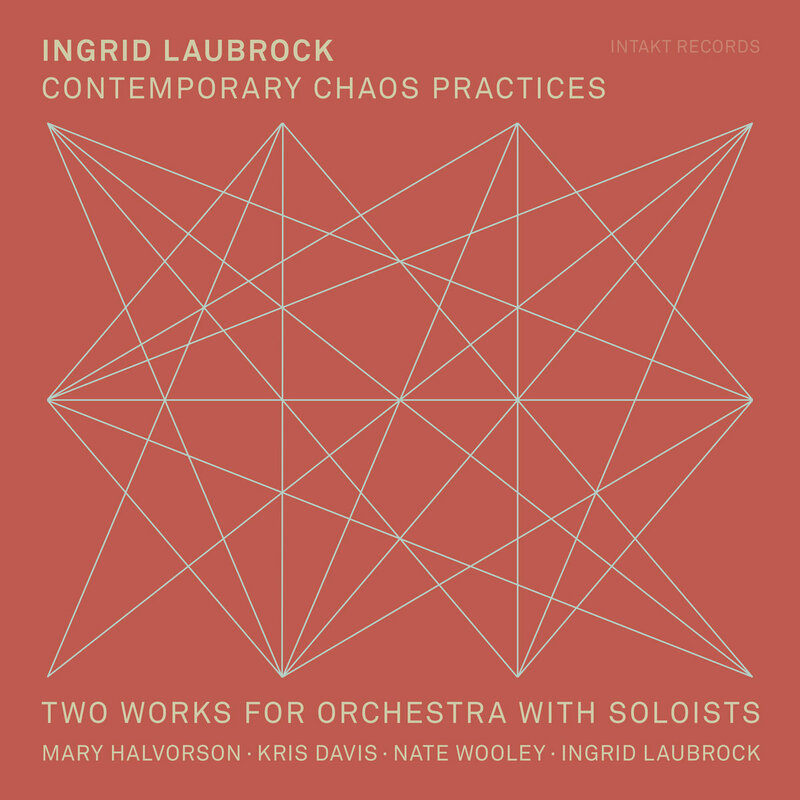 Su questa struttura Mary Halvorson alla chitarra, Kris Davis al piano, Nate Wooley alla tromba e la stessa Ingrid Laubrock al sassofono aggiungono un tessuto improvvisativo che si integra perfettamente con la partitura, rivelando la mappa di terre sconosciute. Scivolato sotto le ondate di applausi in tutto il mondo, di migliaia e oltre spettatori – non solo confinato al jazz evidentemente – e le inevitabili domande sul futuro del jazz durante le interviste, un imbarazzo riservato solo a chi “il nuovo che avanza nel jazz”, è facile dimenticare cosa c’è dietro Universal Beings di Makaya McCraven. Atlantic Black, nona traccia dell’album, punta esattamente nel ricordarlo: Shabaka Hutchings e Tomeka Reed al sassofono e al violoncello costruiscono un avvincente mondo di ostinati che crea uno stato frammentato, ma meditativo su un vamp destrutturato. Junius Paul al basso è probabilmente l’unico strumento solista della band. E poi c’è la batteria di Makaya. Cosa sta facendo? lui sta rappando. Sì, non è altro che rappare. Il suo modo di suonare è un atto di riverenza verso J Dilla. Non solo un’attestazione di ciò che l’iconico DJ ha rappresentato, ma ancora tamburi e piatti sono parole sputacchianti, rabbia, filastrocche e protesta. Costruito intorno a quattro diversi quartetti, registrati in quattro diverse città, ognuno a riempire un lato diverso del formato doppio vinile, Universal Beings è la visione di Makaya McCraven più pura. Ci sono voluti più di quattro anni per rifinirlo e le collaborazioni dei migliori musicisti in giro, il batterista di Chicago suona con il suo tipico stile che mescola elettronica contemporanea suonata da un quartetto jazz, portando il freddo suono artificiale della Black music al livello di continui e frenetici, ipnotici vamp. Mescolare lo stile operistico all’interno di rock o heavy metal ha portato a tali abusi, che ora alcuni critici usano questa parola con un lato dispregiativo. Nonostante ciò i proggers italiani Syndone stanno da anni incorporando questo linguaggio con un tale rispetto e serità che nessun altro ha mai avuto. Legati con testa e cuore alla melodia italiana, hanno una solida influenza nel progressive italiano classico insieme con una vena sinfonica molto forte. Ciò che potrebbe risultare in un risultato derivativo, è invece unico nel suo genere. Alla guida di una band composta da sei membri senza chitarra, Nico Nik Comoglio è una forza della natura dietro i suoi synth urlanti insieme alla voce potente e intensa di Riccardo Ruggeri. Un atto di protesta contro il femminicidio, Mysoginia è costruito come fosse un’opera a se stante. La traccia centrale Evelyn, che vede la partecipazione del flautista dei New Trolls Vittorio de Scalzi e la voce ammaliante di Viola Nocenzi, è un duetto incantevole tra le due voci, maschile e femminile. I due dialogano in una romanza italiana intensa e mozzafiato che raggiunge il suo apice in un vibrante unisono, prima della conclusione finale della band per intero. Passando attraverso avvincenti strumentali progressive rock, episodi hard-rock, passaggi orchestrali che spingono i momenti più importanti del lavoro – Francesco Zago degli Yugen é ospite come direttore d’orchestra – o l’assolo di chitarra inteso nella penultima traccia del chitarrista di Arti e Mestieri Gigi Venegoni, Mysoginia è un atto di musica pura e sincera che va dritto al cuore del carattere dell’opera e lo incorpora nel suo stile. Paesaggi inquietanti in bianco e nero, turbinii d’aria, natura selvaggia ed emozioni che si accavallano l’una sull’altra sono anche le immagini tratte da The Sound of the Earth, l’album del batterista Xavi Reija. Il musicista catalano, sotto la produzione della MoonJune, ospita un quartetto di puri improvvisatori – il partner ormai di lunga data Dusan Jevtovic alla chitarra, il genio della Thouch guitar Markus Reuter e il leggendario bassista Tony Levin – con un solo scopo in mente: cercare quel senso interiore di significato sepolto nel suono della terra. Improvvisazione, ascolto e flusso sono gli unici mezzi con cui scavare. 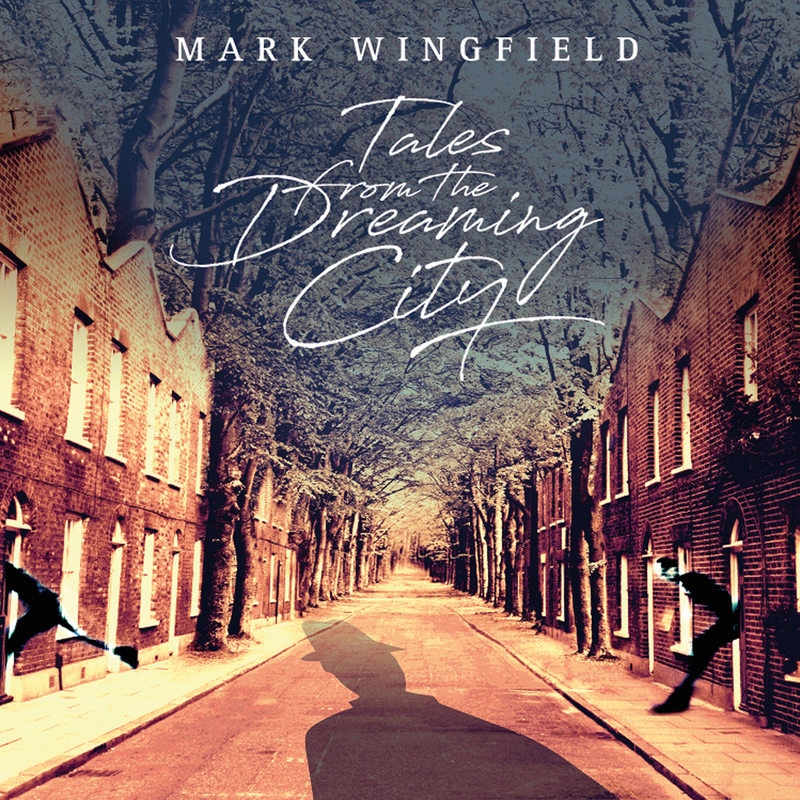 Sentendo Tales from the Dreaming City di Mark Wingfield é facile dargli ragione e credere che la chitarra può ancora rivelare pianeti del sistema musicale dei quali non sapevamo l’esistenza. Il chitarrista inglese sembra poco interessato a quello che succede nel 21esimo secolo, quanto più é impegnato a proiettare lo strumento nel 22esimo. Sotto le melodie scintillanti, le armonie misteriose, le grida quasi-umane della sua chitarra si nasconde, visibile a chi ha la curiosità di ricercarla, una ricerca che sta spingendo i confini dello strumento in maniera vertiginosa verso ed oltre il futuro. Attraverso un uso della tecnologia decenni luce avanti rispetto al resto del mondo coniugato con una melodicità che sembrava dimenticata sulla sei corde, crea una musica mista di magia e mistero, ci trasporta all’interno di un film di David Lynch, e lui ne é il regista. Dwiki Dharmawan mette il suo inconfondibile tono di pianoforte in mostra fin dalle prime note di Rintak Rebana, traccia iniziale di Rumah Batu. Sarebbe stato difficile trovare un seguito a Pasar Klever, un lavoro che ha ricevuto recensioni tanto entusiastiche. Questa volta il risultato è forse ancora più coerente, ad indicare l’equilibrio raggiunto tra jazz contemporaneo, influenze etniche sud-asiatiche con il sound degli anni ’70. La sua musica sembra portare Chick Corea, Keith Jarrett nella musica balinese con un suono delicato che non suona mai smielato o scontato. Il delizioso riff in stile La Fiesta che apre la traccia mostra tutta la forza guidata dal flauto (Sa’at Syah) da una parte e dalla feroce e precisa batteria di Asaf Sirkis dall’altra. Il chitarrista vietnamita Nguyen Lè è il compagno perfetto di Dharmawan offrendo un entusiasmante assolo capace di scuotere fin nelle viscere. Il bassista Carles Benavent, che spesso si muove nell registro centrale quando Yaron Stavi suona il contrabbasso, porta la sua voce inconfondibile effettata con un’ottava superiore in un altro momento emozionante del brano e finalmente si raggiunge l’apice per l’ultimo assolo del leader al piano. Registrato a La Casa Murada –Rumah Batu significa ‘La casa di pietra’ in indonesiano- quest’album è un giro sulle montagne russe attraverso melodie piacevoli, momenti di improvvisazioni corali, ritmi danzanti. É un lavoro con un sentimento ancora più libero di quello che aveva Pasar Klever, che mostra quanto si può andare in profondità e quante possibilità ci sono ancora nel genere fusion tinto di etnico, troppo spesso bistrattato. Quando si incontra la musica di John Hollenbeck per la prima volta, si ha la sensazione che ogni singola nota che suona sia posata sulle spalle di giganti. Snocciolando con precisione accademica quale ispirazione sia dietro ogni composizione, sia che si tratti del booklet delle sue uscite o di un intermezzo durante i suoi live, il batterista di New York ha una ricchezza senza precedenti dietro di sé che a dar fuoco alla sua musica. Conosciuto per il suo lavoro ritmicamente superbo ed intricato con i The Claudia Quintet, alterna questo gruppo con set di ensemble più grande. Dopo aver pubblicato Songs We Like a Lot / Songs I Like a Lot con un ensemble più ampio ma diverso -per il quale sta preparando il terzo capitolo per l’anno prossimo, è tornato alla sua band di 24 musicisti. 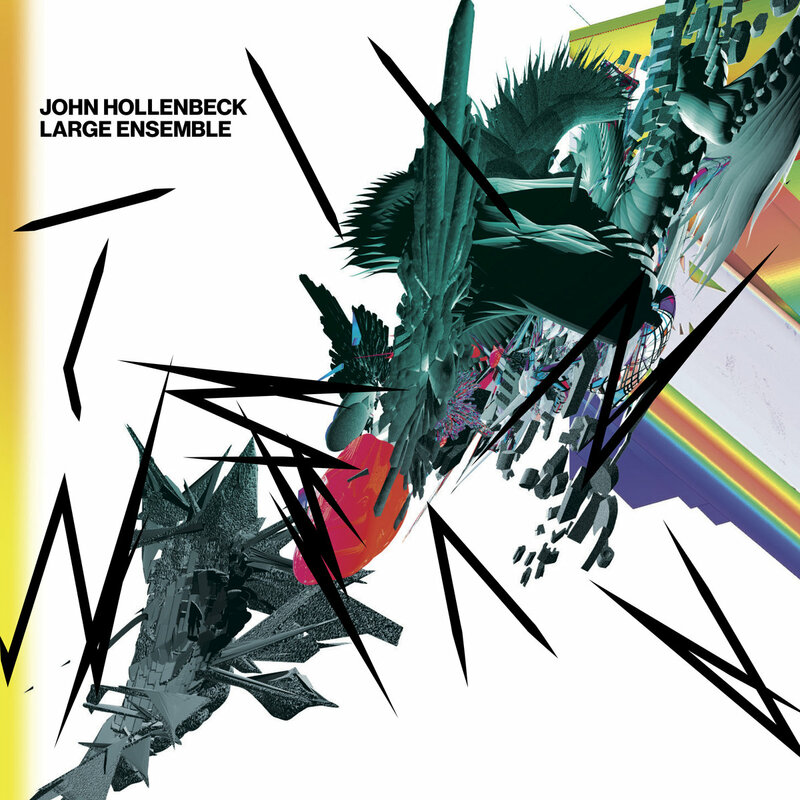 Una lista del gotha della scena jazzistica newyorkese di New York, John Hollenbeck Large Ensemble ha un suono giocoso ed erudito, arguto e aggressivo, spinge in avanti e guarda oltre – con Hollenbeck che svela nelle note di copertina una dedica ai concetti armonici di Bob Brookmeyer o Billy Strayhorn. La title track di All Can Work è dedicata alla memoria della trombettista e psicoterapeuta Laurie Frink, le cui mail sono state fonte d’ispirazione per scrivere i testi delicatamente cantati da Theo Bleckmann. Hollenbeck ha creato un poema che guida non solo il cantato, ma anche ritmi ritmicamente dispersi e sfuggenti. Gli ottoni e la voce seguono una linea melodica delicata e malinconica che riflette uno spirito dolce, ma indistruttibile. Quando i contrappunti di tutte le orchestre si spostano come un phase shifting a la Steve Reich, il livello emotivo si innalza fino a un finale doloroso e intenso eseguito dall’orchestra al completo. Quando, dopo due minuti e venti secondi di Ibra spinti principalmente da un loop continuo di cassa, gli archi sovrappongono una combinazione armonica completamente nuova e inaspettata, tutto inizia a cadere. I paesaggi sonori occasionali forniti magistralmente dalla chitarra di Eivind Aarset e un accenno di una progressione di accordi hanno precedentemente impostato una chiara direzione tonale nella traccia, ma ora tutto sta cambiando. La nuova linea degli archi modula in una tonalità insolita, come aria spinta sul viso in una caduta a spirale. Il ritmo costante di questi cambiamenti imita la caduta di un corpo fino a un finale rovente con sintetizzatori organici e guitarscapes. How We Fall di J. Peter Schwalm ha qualcosa a che vedere con la densità, sia dal punto di vista emotivo che musicale. Composto dopo una lotta per il cancro che ha colpito il mago del synth tedesco, noto per le sue collaborazioni con Brian Eno e Holger Czukay, questo è il secondo album di RareNoise ed è stato influenzato dalla sua battaglia personale. Ma anche forgiato ad un livello più ampio da un senso di paura diffusa e globale – i nomi delle tracce si riferiscono a luoghi che gli americani avevano usato come siti di test di bombe nucleari durante gli anni ’40. Caduta, aria e senso di paura: How We Fall è un’esplorazione organica della galleggiabilità e della solidità del suono. I creatori di spot pubblicitari devono conoscere bene i meccanismi dell’illusione ottica: quando vediamo una automobile di lato, ad una velocità costante ben precisa, le ruote ci sembreranno ferme. L’effetto visivo é noto come effetto ruota di carro e si può riassumere banalmente in questa maniera: il nostro occhio ha una capacità di campionamento di fotogrammi ben precisa. Quando si crea l’effetto, non percepiamo i ‘fotogrammi aggiuntivi’, quelli che ci mostrerebbero la ruota in due posizioni differenti e che ci farebbero percepire, quindi, il movimento. Si crea una ripetizione costante che ci intriga e questo vortice, quasi come fosse un buco nero, richiama un meccanismo ancestrale, perfetto per uno spot pubblicitario. La ripetizione crea un legame, non ci fa staccare dalla visione, crea qualcosa nello spazio tra noi e l’immagine. “La ripetizione non cambia nulla nell’oggetto ripetuto, ma cambia qualcosa nella mente di colui che lo guarda” (Deleuze, Difference and Repetition in Margulis, On Repeat, Oxford University Press). Gli svizzeri Sonar lavorano alla creazione di questo spazio tra la musica e l’ascolto, tra la ripetizione e l’ascoltatore dal 2010. Poche note, metalliche, suonate da dentro il pianoforte a creare un’atmosfera appena percettibile ed atonale, giocate sui registri più basso e più alto. Poi una scala guida fino all’accordo cadenzato, a ritmo andante: é il preludio al tema grave e solenne, che ti prende fino alle viscere di Sharp Dressed Man, classico degli ZZ Top, risuonato da Jamie Saft al pianoforte. Un solo accordo minore, pieno, che risuona nella sala da concerto, gioca sulla 5a blues e ne tira fuori l’essenzialità. Il registro più basso della tastiera ci prende l’anima, non c’é davvero bisogno di dire altro. Non c’é inizio, non c’é preparazione: iniziamo direttamente dalla fine. Non c’é bisogno di altro. Quello che c’é da dire é tutto lì. 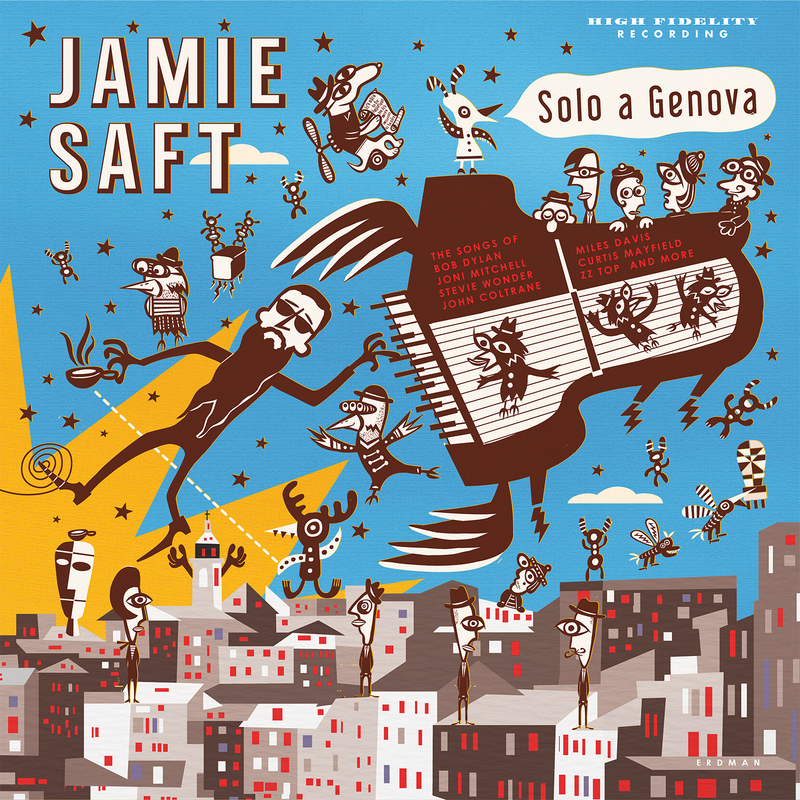 Nell’anno del revival dello spiritual jazz, Jamie Saft fa sentire la sua voce per ricordare da dove viene tutto questo. Un accordo ieratico che mantiene aperte tutte le possibilità armoniche, aggiungendo sfumature ed il pedale del piano di Saft, apre Vessels. Il sax di Bill McHenry esplora sottili sfumature di intimità. La sezione ritmica fatta da Bradley Coleman Jones e Nasheet Waits si fondono in un battito cardiaco. Il tempo è sospeso per un tempo infinito. Questa nuova creazione del pianista capace di rimanere sempre all’avanguardia è un quartetto a suo nome, The Jamie Saft Quartet. Già indica esplicitamente nel nome dell’album, a nome Blue Dream, qual è la direzione che sta prendendo questa volta, Jamie Saft è solito passare senza problemi da sonorità tradizionali a contemporanee, mescolando jazz, doom, metal, surf rock , musica popolare e, ovviamente, blues. Ma qui non c’è revival, il blues è portato alla sua radice. È la Alice Coltrane di Journey at Satchidananda. È il più sanguigno Joe Lovano. È musica rituale nel suo significato più profondo. Aaron Parks è riconosciuto da molti colleghi come il vero erede del messaggio di Brad Mehldau nella nuova generazione. E’ un musicista capace di accedere a un senso più profondo del materiale melodico, sembra riuscire a rivelare segreti nascosti in melodie semplici. Con questo quartetto torna indietro nel tempo al suo debutto in Blue Note nel 2008 con Invisible Cinema con una formazione basata su due strumenti armonici, il pianoforte e la chitarra. Accompagnato dal suono crunch di Greg Tuohey alla chitarra, David Ginyard Jr al basso e Tommy Crane alla batteria, Little Big è un album contemporaneo di solido rock strumentale per certi versi. La iniziale The Kid iniziale è un medium rock country orecchiabile e dal ritmo coinvolgente che offre uno spettacolo di ciò che il pianista è in grado di fare. Parks aggiunge ornamenti modali sopra le sezioni ritmiche e mostra come é capace di muovere sempre l’ascolto nel terreno dell’inspiegabile con melodie semplici, ma uniche. Questo é il segreto del pianista: ha un senso più profondo nel far parlare fra loro le note, nascondendo la freschezza in dettagli sottili, a volte un leggero spostamento di ritmo, a volte una nota di passaggio nascosta che conferisce un sapore modale a tutto questo. Armonia jazz e classica si fondono, ma c’é anche una melodicità pop e cantabile che pervade l’album e che lo rende accessibile anche quando complesso, estremamente complesso. Spirit Fingers é intriso di una disciplina gioiosa, da una certa spiritualità solare. I ritmi lavorano in maniera incessante per tutto l’album andando a creare un dialogo con l’ascoltatore che va al di là del singolo pezzo, cercando di creare una ritualità vicina alla ritual music di Nik Baertsch. Declinata spesso attraverso cambi di intensità da montagne russe, attraverso mille esplosioni di emozioni. Quando alla fine degli anni ’90 una nuova scena del jazz elettronico si é fatta luce dall’esotica Norvegia, una generazione di musicisti jazz, cresciuti sotto l’ala di grandi come Garbarek e Rypdal, iniziò a praticare l’improvvisazione in maniere improbabili. Presto divenne la norma vedere jam tra jazzers e dj in luoghi come il Blå di Oslo. Venti anni dopo che il picco é passato, Bugge Wesseltoft rimane ancora uno di quelli che l’hanno esplorato più a fondo. Prima di tutto con la sua New Conception of Jazz, line-up che ha ampiamente sfruttato per incorporare ritmi nella sua tastiera e suonare il pianoforte, e poi collaborando con molti sound designer, recentemente con Henrik Schwarz. Per la sua collaborazione con Prins Thomas, una dei motori della space disco negli anni 2000, porta tutto agli elementi più basilari. A partire dalla sede, l’iconico Rainbow Studio gestito dall’ingegnere Jan Erik Kongshaug che ha collaborato con le più grandi registrazioni ECM degli anni ’70, e seguendo attraverso la scelta di un terzo partner come il leggendario batterista Jon Christensen, membro del Keith Jarrett European Quartet, tutto si muove verso una miscela di spontaneità. Furuberget è delicata e rilassata come i migliori momenti di Moving, potenzialmente persino oscurando i picchi di improvvisazione con cui Wesseltoft si é reso famoso con la sua formazione New Conception of Jazz. Sintetizzatori avvolgenti, riverberi organici amplificati dai sottili suoni dei piatti di Christensen, delicati intervalli di pianoforte, equilibrio imprevedibile tra i suoni degli anni ’70 e l’hip hop / elettronica moderna: tutto parla di un momento di beatitudine e di spontanea luminosità. Typewritten di Matt Calvert è un lato inaspettato dell’innovativo chitarrista britannico, che ha esplorato i confini tra math rock, elettronica e rock progressivo con Three Trapped Tigers e Strobes e ora sterza in una direzione apparentemente opposta. Laddove li tirava fuori ritmi angolari e riff astrusi che saltavano fuori da poliritmie sovrapposte, qui esplora il lato acustico ed addirittura uno elettronico, ballabile. Lasciando l’elettrica per la chitarra acustica, si mette alla guida di un ensemble da camera, che si trova sulla cresta tra curve minimaliste e imitazioni elettroniche. Il risultato richiama una musica chill e rilassata come nella ondulata 12051, costruita attorno a un riff di vibrafono ed agli armonici della chitarra che creano un groove mobile e ballabile. Quando la chitarra si muove verso il tema principale, un’aggiunta di accordi lussureggianti ricrea un’atmosfera da ensemble acustico che suona musica da club. Un disco dalla vena acustica, che esplora in profondità i meccanismi del paesaggio elettronico ed il suo aspetto organico. Seguire una visione chiara, un approccio diverso, lavorare a ritmo più lento e farsi influenzare trasversalmente da più parti, sembrano queste le regole fondamentali alla base del loro modo di suonare. Mentre la loro musica è un manifesto del pensiero matematico e delle pratiche di distruzione e ricostruzione musicale, nonostante tutto è piena di bellezza, istinto, improvvisazione e immediatezza, per quanto strano possa sembrare. Questo è il segreto dietro una band sembra appena aver iniziato ad esplorare il suo potenziale. Se l’ingrediente segreto di Constance and the Waiting sia stato una visione chiara durante il processo di composizione o creare un team di lavoro perfettamente oliato, difficile stabilirlo. Questi 10 musicisti, però, sono stati in grado di entrare nella “Zona” di ispirazione, andare avanti per un’ora supplementare e creare un risultato originale e senza precedenti.